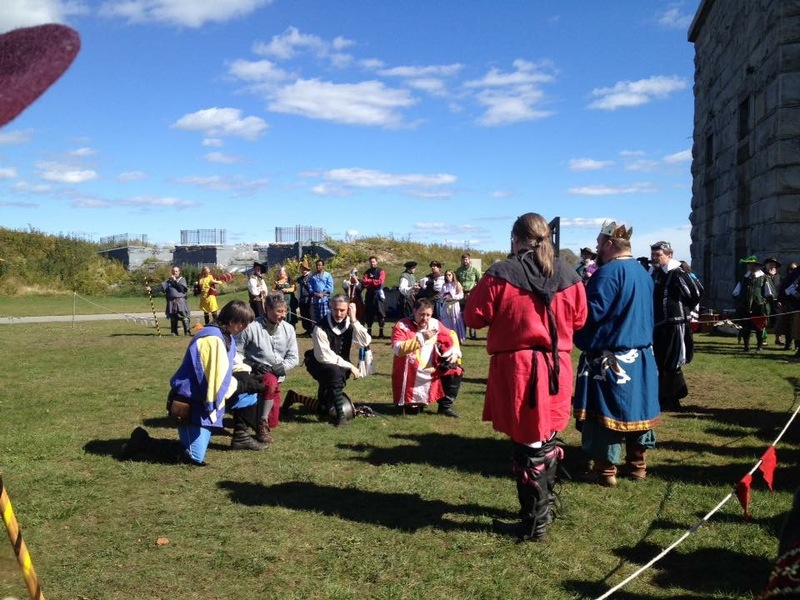 From a field of 62 combatants, Master Donovan Shinnock emerged victorious and was named King’s Champion of Rapier. He faced Don Thomas of Effingham in the finals, with Don Nathaniel Wyatt and Allerick van den Broeke rounding out the final four. Master Donovan faces Don Thomas in the finals. 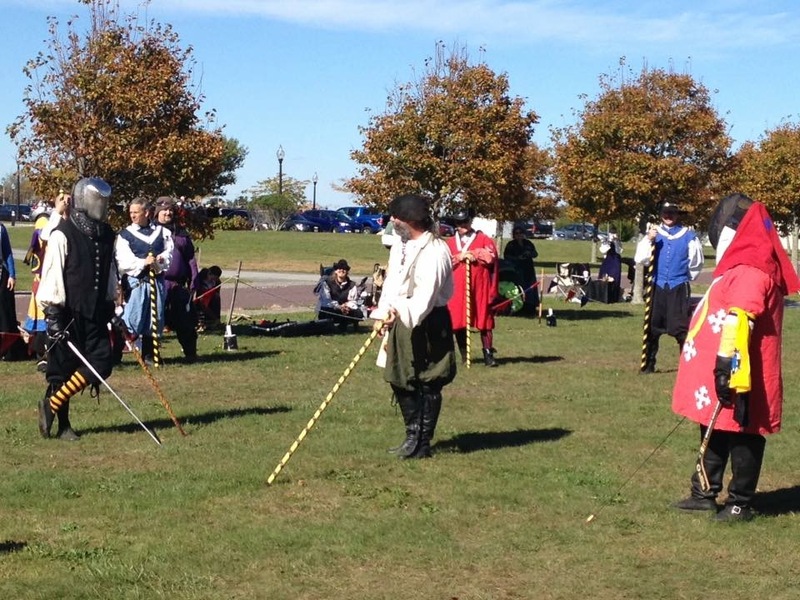 Their Majesties address the final four combatants. Photos and results provided by Simona bat Leone.